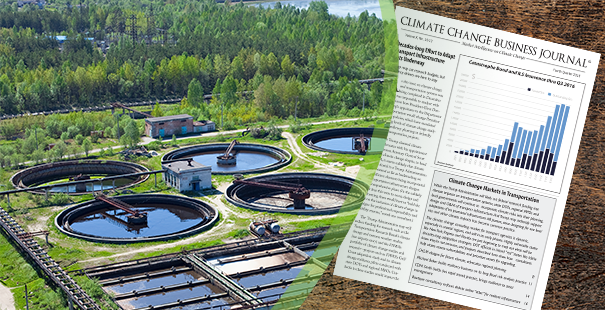 The Climate Change Business Journal (CCBJ) is a subscription publication from Environmental Business International. Across the complex business landscape of climate change, CCBJ can keep you headed in the right direction. Subscribe today and stay on the leading edge. 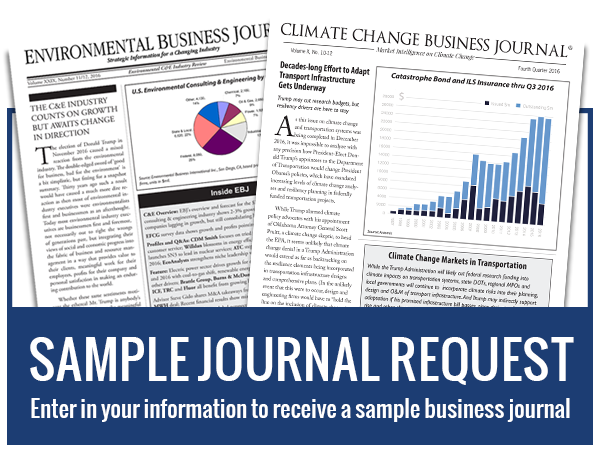 Climate Change Business Journal ® (CCBJ), launched in 2007 as a subscription-based business research publication, serves as the centerpiece of business intelligence providing detailed market research on nine segments of the Climate Change Industry. Through research, interviews, proprietary industry surveys and data analysis, CCBJ identifies companies participating in these evolving business segments, tracks metrics including market size and revenue growth, and follows business and regulatory trends affecting the Climate Change Industry. By defining and tracking the segments of the emerging global and U.S. Climate Change Industry, CCBJ provides an independent source of data and perspective for opportunity evaluation, business planning, benchmarking, financing documents and management decision-making. One-year corporate electronic subscribers receive 12 future issues (as well as have access to past issues in the terms of the subscription) of Climate Change Business Journal (CCBJ) in PDF format along with any accompanying spreadsheet data file, presentation file, or other pertinent material. 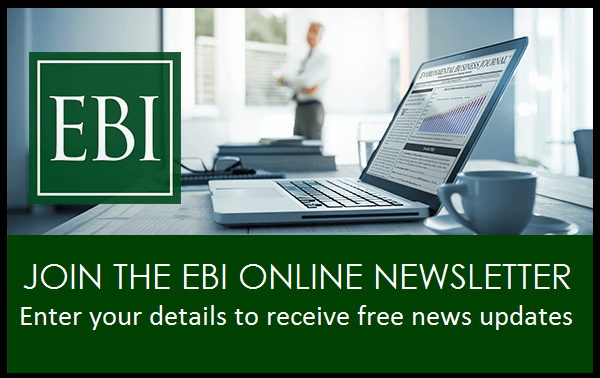 These files are available on a continuous basis on EBIonline for the duration of the subscription period with multiple access and log-ins available. Pricing is based upon the number of readers or users at your firm (see table below). If you are a non-profit organization or government entity, you can qualify for the special price of $195. You will receive four (4) quarterly editions of CCBJ – each is available for download online until the next issue is published. For $495 you will receive four (4) future issues of CCBJ – each is available for download online until the next issue is published. For $395 you will receive one download credit valid for ten (10) days – good for downloading ANY single current/past issue in our CCBJ archive.